The Joshua School is a private, non-profit educational and therapeutic day treatment center for individuals and families challenged and enriched by autism spectrum disorders and developmental disabilities. The Joshua School is committed to building a community that offers the highest level of care and individual instruction for students, the most comprehensive array of services, and the strongest level of outreach and education regarding autism spectrum disorders (ASD). Located in Englewood, Colorado, The Joshua School serves children ages 2½ to 21 years. The Joshua School’s highly dedicated, passionate, and knowledgeable faculty have years of expertise in the fields of autism, behavioral intervention, developmental disabilities, education, special education, mental health, occupational therapy, and speech and language therapies. They strive for balance in their approach, understanding that each student is unique and complex with varied interests, talents, and challenges. By taking the time to know the students, they build bonds with them and their families. In this structured, challenging, and encouraging environment, students discover themselves and the world around them. 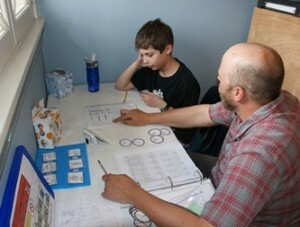 Your generous donation can help The Joshua School fulfill its mission of helping individuals with autism spectrum disorder and developmental disability to attain the highest quality of life, valuing each unique mind, body and spirit.